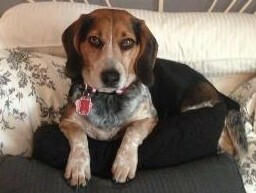 Trustworthy & Good Natured Beagles Make Excellent Family Dogs. We Are Located Just a Little North Of Ottawa, Illinois right off of I-80, Route 23, Hwy 39, Rt 52, I-88 or Route 30. All these roads easily lead you on a beautiful country drive to our home and your wonderful new beagle puppy. 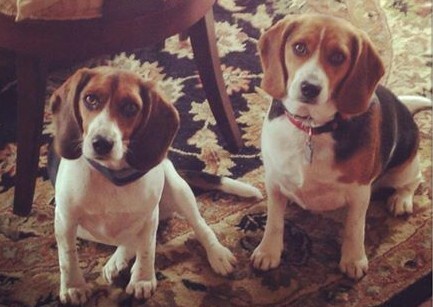 We have over 45 years experience raising only Beagles. We are State of Illinois Licensed, inspected and approved. Puppies are raised with children and a number of different types of pets to ensure your puppy is well socialized, extremely friendly and ready to fit into any type of family. WE TAKE RESPONSIBILITY FOR THE DOGS WE BREED AND THE PUPPIES WE SELL. We only breed to dogs we own. So you will always get to meet the Mom and Dad of your puppy. This ensures disease control, good blood lines, good genetics and quality healthy puppies. Your dog will be AKC Registered with limted rights. We do not sell our dogs for breeding purposes. From: Amy Hamblin "I've had beagles my whole life, but never as wonderful, sweet and easy as Hayley......we are so impressed with your dogs, if you ever need a reference, please do not hesitate to have anyone contact me!" "She IS such a princess, but such a sweet, empathetic dog!! If someone is sad or cries in her presence, she's is there with kisses trying to take care of everything!!! Such an amazing dog- I get so many compliments on her! Expect us back soon for another...."
We raise the small miniature beagles that are 13 inch and under in size. They are a good size for apartments, condos, and homes. And even though they are small in size, they are hardy dogs that love kids, snow, rain, camping, boating and outside activities. Yet can turn around and be your perfect lazy day nap buddy too. They are social pack dogs, so they love other animals and being part of just a one member family or a huge group. 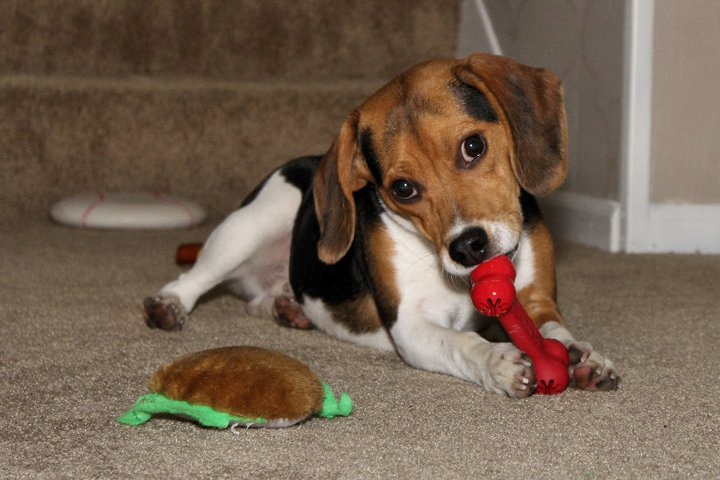 Beagles will adjust to any situation, making them so much fun to be around. And they will be the little clown of your family. Beagles are among the smallest of hounds, the Beagle is an ancient breed popular at all levels of society, from kings and queens to plain country folks. They are active, good natured, happy go lucky dogs. They shed little and have no "doggy" odor. Because of their small compact size they do wonderful in city living, in the suburbs or in the country. They love to travel, go camping and even swimming. 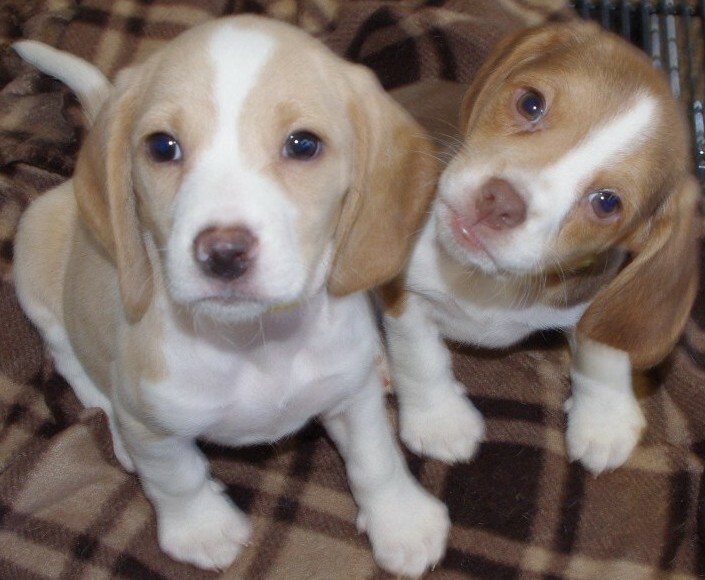 Beagles come in a variety of hound colors, from your traditional Tri-Color, to the rare colors like: Lemon & White, Red & White, and Blue & White. Beagles compete in two varieties of height: 13 inch and under and 13 1/2 up to 15 inches. We bought our dogs almost 2 years ago from the Beagle Barn, at the time they were named Darla and Daisy or something (My parents came and got them, I was at school), here is some recent pictures of our family dogs, now named Bailey and Chloe. They are such a joy to have in our family and they are very spoiled (but well-behaved) girls, thank you!! !